The addition of one item can take an entire outfit from daywear to evening wear. 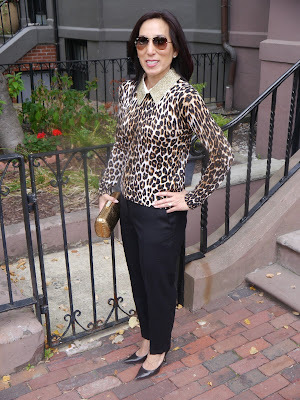 The outfit shown, sans the beaded collar, is one I would wear to work or to a business meeting. 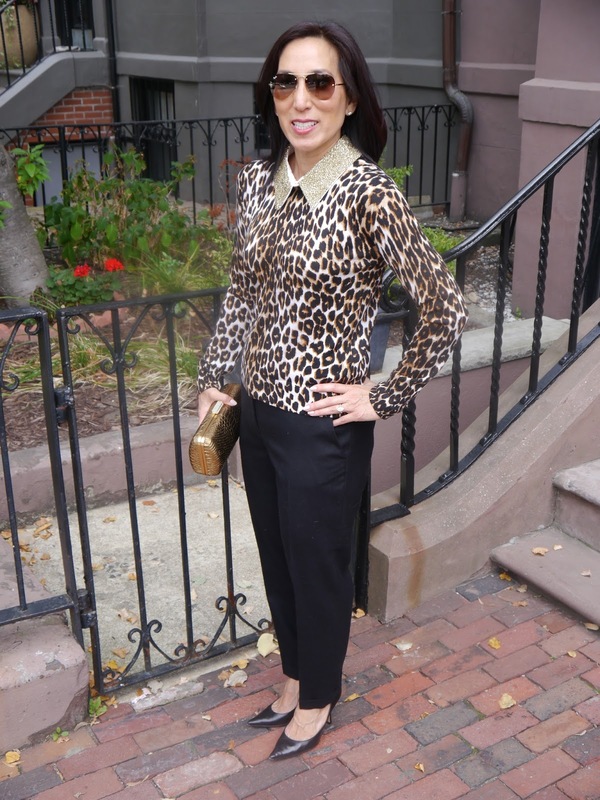 The pants, sweater and pumps are relatively conservative, while the sweater’s print shows a bit of flair. 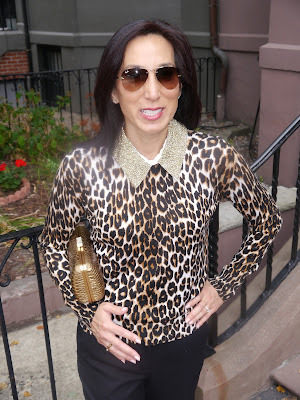 To make the outfit a bit more festive for an evening out, I added the sequined collar from the gold Lurex sweater featured in this post. 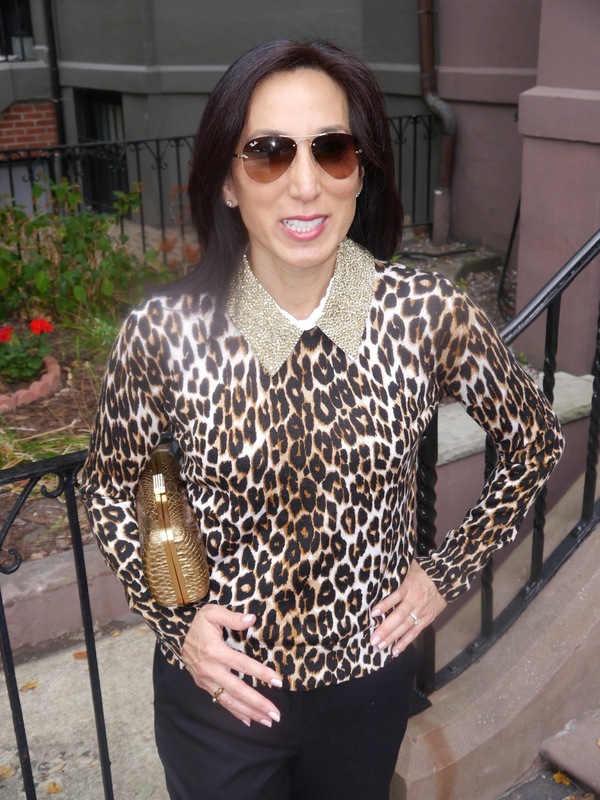 I simply unbuttoned it from the gold sweater and attached it to a leopard-print sweater using fashion tape. Don’t you love it when your pieces do double duty?